Why I think we should not spoil our votes. 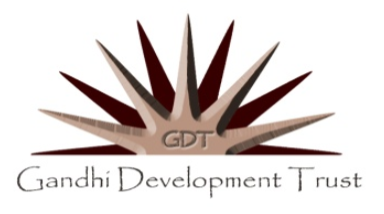 Gandhi Development Trust > Uncategorized > Why I think we should not spoil our votes. There are many reasons why we should vote and why we should vote intelligently and not spoil our votes or just recklessly cast our vote for any party not knowing what that party stands for or the consequences for supporting a specific party. First and foremost is the fact that voting is an important part of democratic process. We made many sacrifices for our right to vote and for us to be able to participate in governing ourselves. 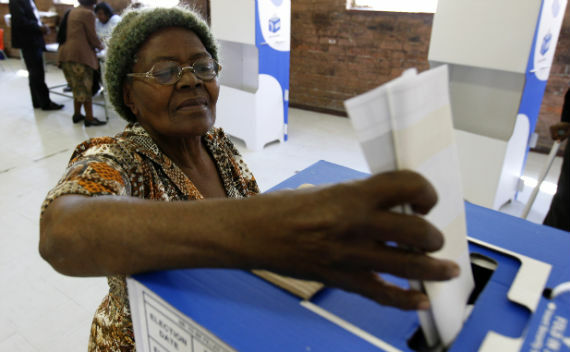 Voting helps us shape the South Africa of the futue. The first part is easy to go to the polls and cast your vote for a party that you think will best meet your needs and then sit back and wait for things to happen. The second part is much more difficult. We have to participate in governance. How do we do that? We can participate in policy and law making by following the parliamentary process and making our comments. If the comments are well presented with valid reasons then they will be taken into account. A very good example of this is the law that governed the truth and reconciliation process. If one looks at what was tabled at the beginning and what was eventually passed one will be able to see the vast difference between the two. This was largely because of the many very good suggestions and proposals that were made by civil society organisations. Another way in which a person can participate is through their party by being an active member of a party and influencing actively how that party functions. Such influence can only happen through hard work as one needs to have good support for the proposals that one makes otherwise the proposals can be thrown out because not enough people support it. So being an active member is to be able to participate in all the discussions to influence the decisions and to be able to ensure that the party carries out its mandate. Policies and laws are administered by the executive and the civil service. While they account to parliament their performance can be controlled by a well informed and educated population which can report corrupt behaviour, ensure good service, ensure adherence to the policies and legal requirements, and where the community too respects the legal requirements and processes. We can also participate in various structures created by the government to oversee proper administration and service delivery. We can also be the eyes and ears of the people in ensuring that services are properly delivered and that society takes care of the various resources provided. The better care we take of these resources the less expenditure the government incurs on the provision of services and the more efficient the management becomes. These are all the ways in which we as civil society can participate, and make our democracy a participatory democracy and our community a disciplined and caring community. So in this process then there is a role for every individual. The ballot box gives us the power to chose that party that we believe is most capable, most likely to represent our views. But that is not the end, we must, having elected the party into power begin to ensure that we participate in the various processes and actively in the party to ensure that it maintains its promises to the people and carries out its policies. Coming back to the issue of not voting, spoiling our ballot paper and trying to make a point aimed at a party to which we belong is not a logical method of expressing our frustration. Historically we have engaged in campaigns calling for no vote. However what we have seen in the past in our country is that we were confronted by a system of government which deprived us of full participation. The vote was based on a separate voters roll. It was separated on the basis of race. The elected representatives were dependent on the white parliament, and had limited power. This was a system which did not allow us to participate in the parliament on an equal footing. It was an unacceptable and illegitimate system. That is why we called for a no vote. It indicated our non-acceptance of an inferior vote. We were opposed to a system not to a party. There is a huge difference between opposing a system through a stay away campaign and opposing a party with the possibility of crippling it and not knowing what will be instituted in its place. How can this help? We have to work hard and be able to make the changes we want within our own party and if we feel incapable of doing that then we have to take the plunge and start a new party. What is being called for now is not only irresponsible and short sighted but also can lead to anarchy and destabilisation as we see in so many countries. Such actions only end up in power struggles and more wastage, poor getting poorer, hunger, destruction and mayhem which is not something we want to see in South Africa. Let us all vote with careful thought as to which party will truly represent the aspirations of the poorest of the poor and the majority in our country. Let us be more active members of our party and bring about changes from within rather than trying to destroy it with no indication of what we want in its place. An example of this kind of behaviour can be seen for instance in the recent protest in Thailand, where they deposed a person and a few months later the people brought him back as their leader of choice. There cannot be logic in this kind of behaviour. While I respect the people who have called for spoiling of the ballot paper and voting for a minority party, I do not see any logic in this argument and see it simply as a step towards anarchy. In this call the assumption is that the call is going to only influence a few people, it will not completely replace the present government but will indicate to it that people can use their power albeit with disastrous effect because obviously their call is not aimed at toppling the party because then they would have called for a vote for the opposition. No, they just want to weaken the party. Is there any logic in this? They want to weaken the party and at the same time give strength to some small party not even knowing what the small parties stand for. The policies or objectives of such party are of little concern to them. How irresponsible is that? How do people decide on what to do? There are good guides, such as a careful look at the manifestos and see which one meets your views and ideas, look at the aspirations that you have for your country and decide on the basis of that, look at which party will best be able to deliver a country of your dreams. Looking at certain individuals in the party and their performance does not help as no individual alone makes up a party. But certainly exercise your vote and be a part of the democracy that our forefathers helped to deliver to us.